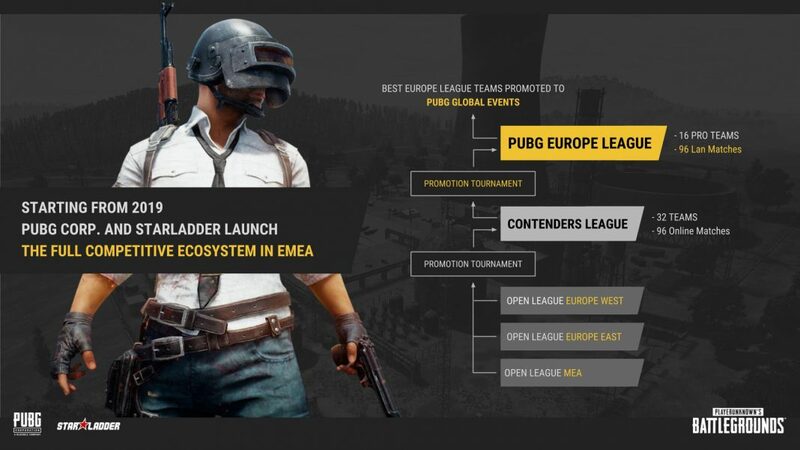 PLAYERUNKNOWN BATTLEGROUNDS(PUBG) and StarLadder have teamed up to create first European professional league named “PUBG European League“(PEL). League will start in January 2019 and will have participants from Europe, Middle East and North Africa. 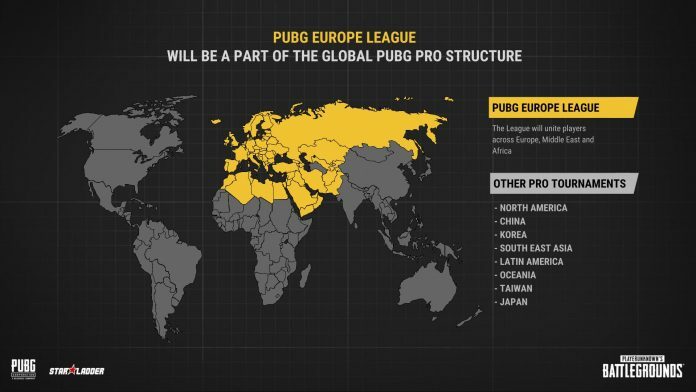 European league will be part of bigger system where North America, China, Korea, South East Asia, Latin America, Oceania, Taiwan and Japan will fight for prize pool of $1,000,000! 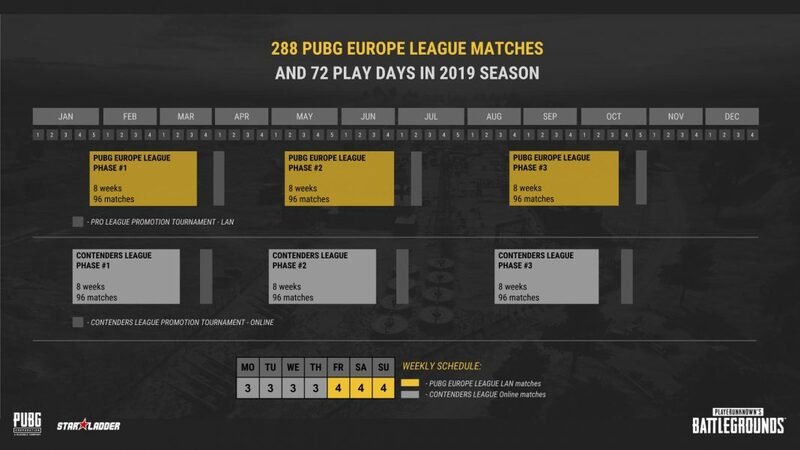 16 teams that will play Battle Royale system on LAN in currently unknown European city will have housing and travel costs covered by PUBG Corp. in full. Aside from that PUBG Corp will support those teams with league revenue share. Qualifications are starting in October 2018 and will finish with LAN finals in December 2018 with 32 participating teams.